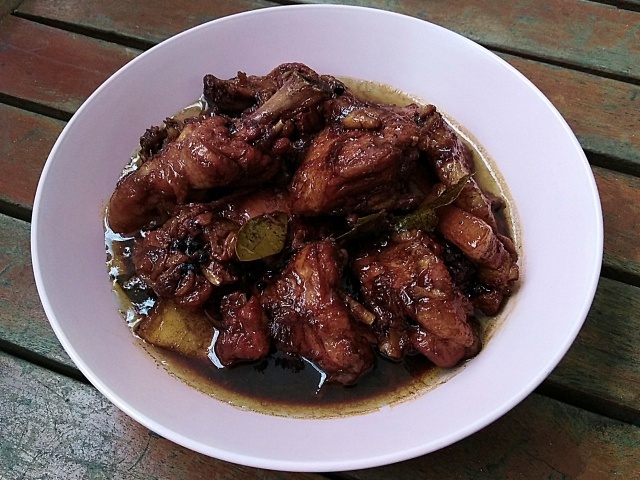 Is there any meat-loving mammal here who don't eat adobo? If that's you, why are you even here? I mean, remember the time celebrity chef Gordon Ramsay chose pork adobo burger over a bison and chorizo double stacked burger in the American TV program Good Morning America? What about when Anthony Bourdain learned how to cook adobo? I won't go further and stress the importance of these two gentlemen in the food industry but if they loved adobo, why anyone else wouldn't? 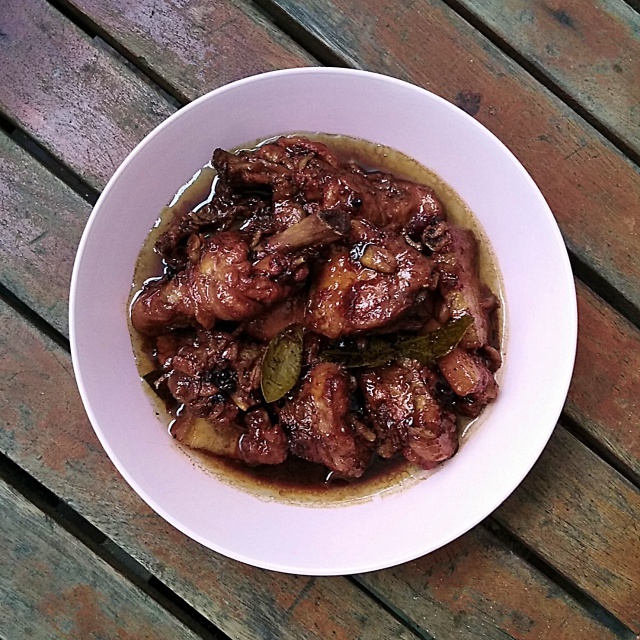 When I became a full-time homemaker, adobo has always been my saving grace. Adobo gave comfort to my husband after a tiring and long travel from the camp. Its thick and flavorful sauce has been my eldest daughter's first experience in appreciating Filipino cuisine. A huge chunk in our family and food stories will always be taken by adobo. 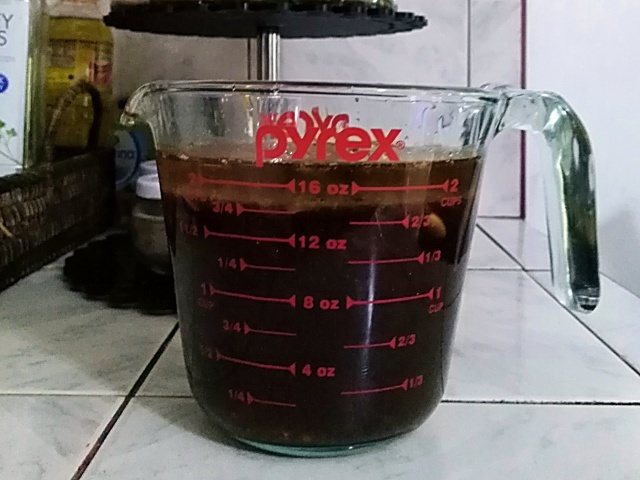 This is why I decided to have a separate label/tag for adobo. Apparently, that's where different kinds of adobo recipes will be filed. I have already shared the recipes of my Classic Pork Adobo, Pork Adobo with String Beans and Hawaiian Chicken Adobo with Sesame Seeds. When I have the time, I will update these recipes as to how I think it should be now. Also, the photos in those posts were horrendous. 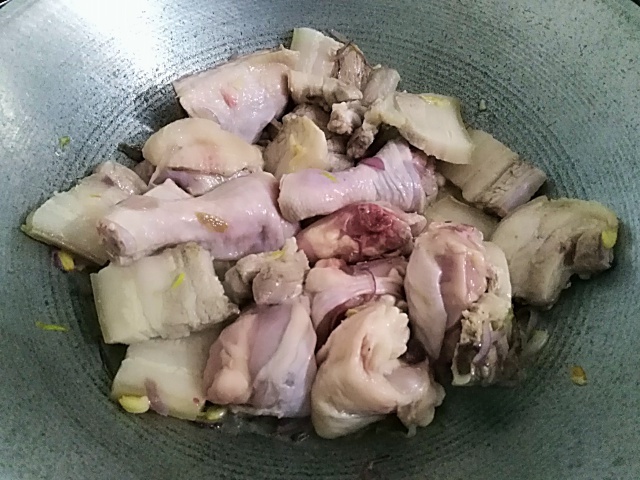 I love cooking my adobo in traditional Filipino kawali because it creates crust that when deglazed by water or broth makes thick and flavorful sauce. So I hope you get a kawali now before you try this recipe. When combining chicken and pork, it's best to get the parts where rich flavors come from. For chicken - thigh part, no contest. For pork - liempo, fight me. We all have our own style of cooking adobo. I guess every family has its own version. But over the years of cooking it, I realized that the secret to a great-tasting adobo are the ingredients used. Please use light soy sauce and red cane vinegar if available. Okay, another secret is low and slow simmering. Ask your grandmother for verification. 1. 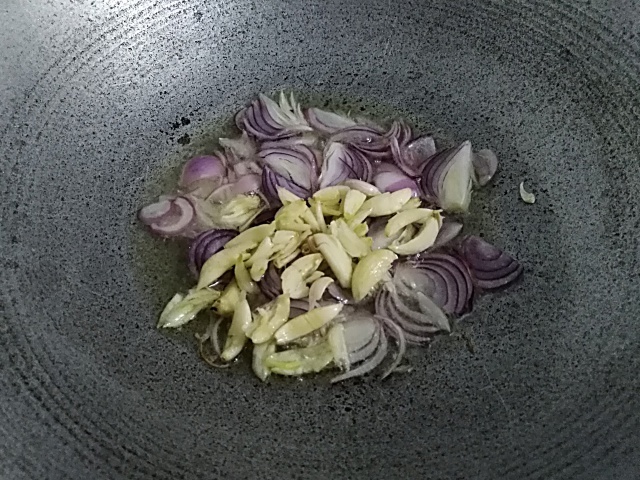 In your kawali, sauté sliced onion and garlic in olive oil until fragrant and translucent. 2. 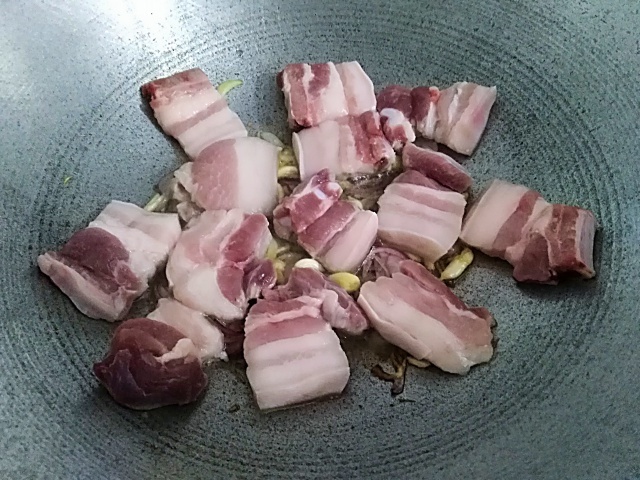 Add liempo cuts. Allow each side to sizzle and brown. 3. Add chicken and brown as well. Stir fry for 5 minutes. 4. Then pour all liquid ingredients, add peppercorns and bay leaves. 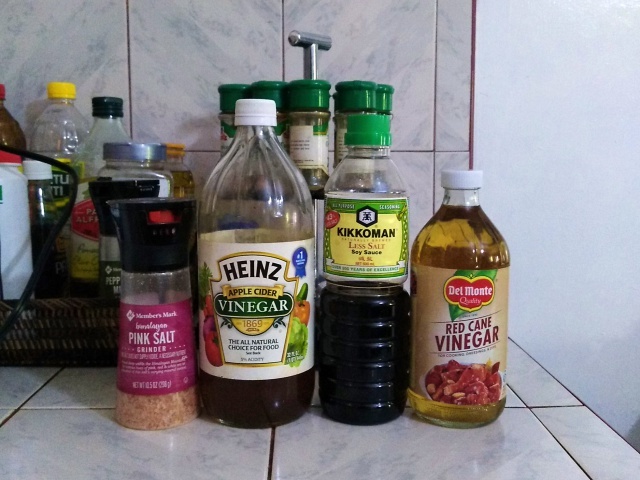 Do not mix so the vinegar will be cooked well. Cover and simmer for 30 minutes until tender. 5. Add brown sugar and cracked black pepper. Add salt if needed. Mix to incorporate flavors in each meat. 6. Scoop out 2 cups of liquid, set aside. Allow the remaining liquid in the pan to evaporate. Let it sizzle a bit and have a little crust. The pork will render a little oil so take a little time but please don't burn it! 7. Pour back the adobo sauce. Carefully scrape the crust to incorporate with the sauce. Cover and simmer for 15 to 20 minutes to thicken the sauce. 8. Serve with steaming white rice. Enjoy! Wow Mommy my family's favorite too, po! 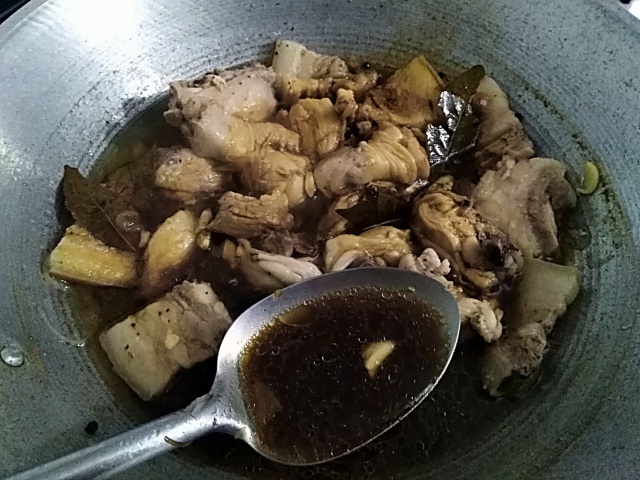 Masarap po talaga ang lasa ng adobo, lalu na po ung tinatawag na adobong paiga yung konti kang po ang sauce nya. Thank youbfor sharing your recipe po gagawin ko po yang adobo version nyo po. I trust your version. :) It's the same way my sister cooks her adobo and talaga napaparami ang kanin ko pag yan ang ulam. Mother ko may dalawang recipe for adobo. 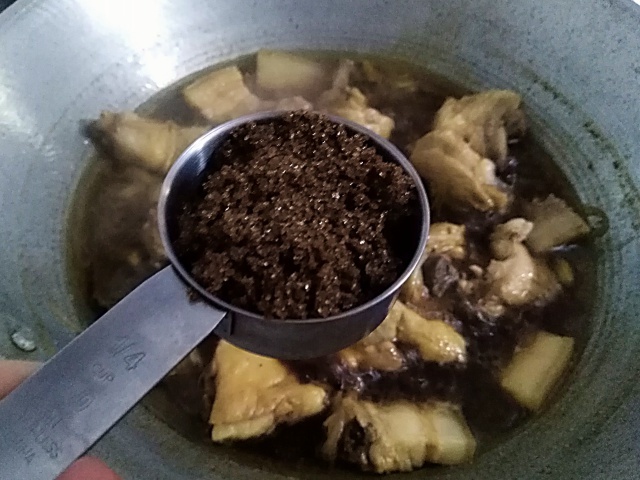 May adobong may sabaw at adobong walang sabaw, nevertheless, masarap pa rin at nakakatakam. Will share this recipe to her, kasi never pa namin ma try na ipagsama ang chicken at pork. Hehe thanks for sharing D!